Let's take a look at some of the art updates and features for That Which Sleeps as it moves towards Beta. We've had a lot of progress with our assets and I think it's high time we started showing them off. Let's jump right into it. 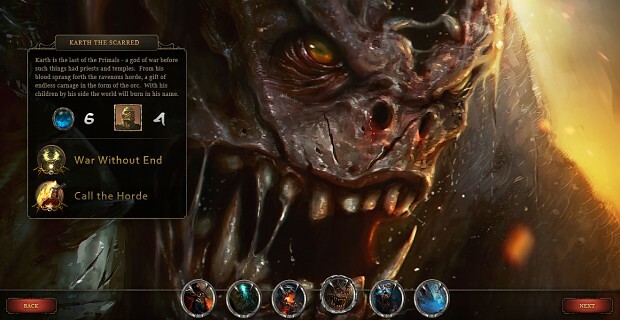 Behold Karth - the First Primal - one of our Eight Ancients who are set to torment the world. He seems angry doesn't he? Each of the Old Ones was illustrated by the VERY talented Richard Luong who worked on Cthulhu Wars and we're very happy with the results. We changed the layout to let the art speak for itself, but all the information is still completely supported by tooltips. From our In-Game Editor, you can see the races of the world and that compellingly placed plus sign that just demands a creative addition. Modding in That Which Sleeps is incredibly easy. 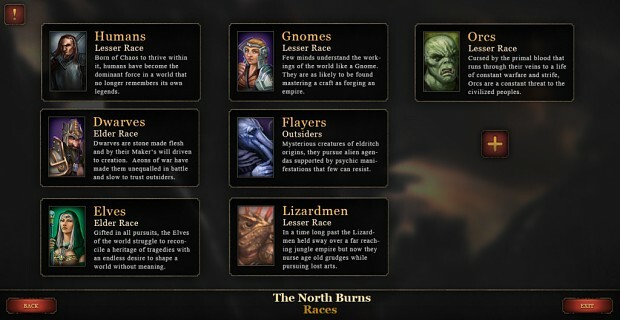 You'll see three "types" of Race here: Elder Races, Lesser Races, and Outsiders - two more types are planned for later releases. 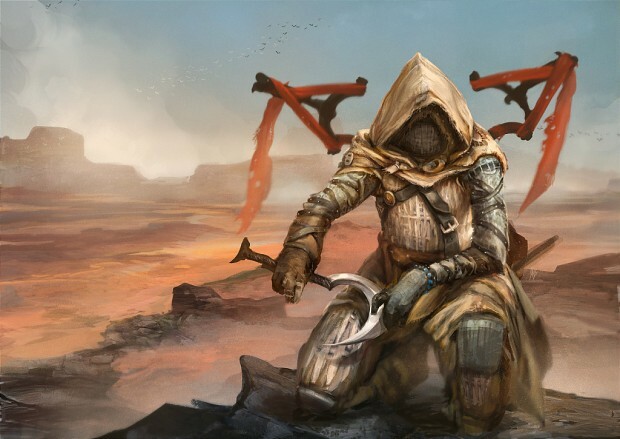 Most of our Agents have received an overhaul - the Prophet here has searched for you his entire life. He will be your most loyal follower and will fall on his sword (or whatever that curved thing is) at your command. 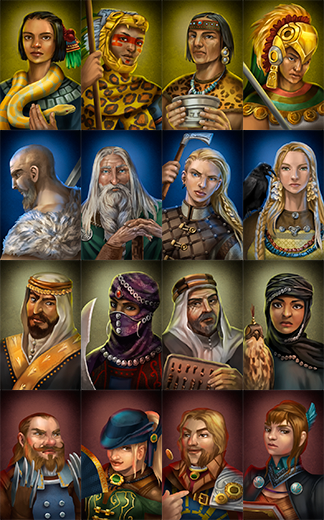 Some of our more exotic human cultures and the newly added Gnomes at the bottom - we plan to have over 200 unique portraits for the game so that you can keep track of the heroes working against you. 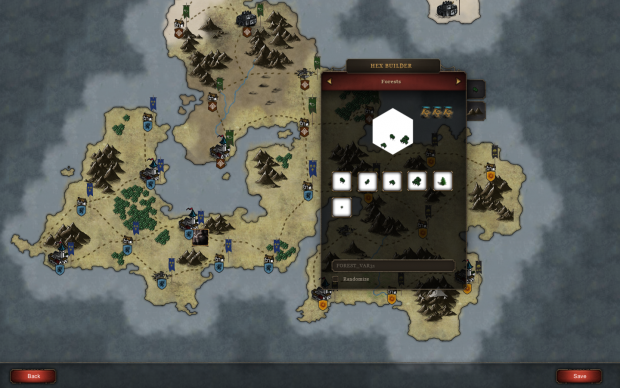 In-Game Hex Builder letting you create variants for features and geography - not only can you make a single sample but you can set the individuals trees to vary themselves by terrain and biome. You can also swap out the individual sprites and the composite hex will reflect the changes. Hope you like what you're seeing - the game has come a LONG way but we still have some distance to cover. We're aiming for an April Beta with the full release later this year.